Bilberries and blueberries are often confused in everyday life. Both have a dark bluish, smooth skin and are similar in size, the bilberry being slightly smaller. Bilberries have been popular in Europe for centuries, and blueberries were first widely grown in the U.S. in the 1920s. Both fruits deliver big nutritional benefits. According to a University of Michigan Cardiovascular Center study, their antioxidants may even portend dramatic benefits for serious health conditions. The bilberry has historical uses since the 16th century based upon both the dried berries and leaves of this shrub. Modern interest stems in part from the fruit's use by British pilots in World War II, when pilots noticed night vision improvement after eating bilberry jam prior to night bombing raids. In the six-plus decades since, scientists have discovered that the bioflavonoids in bilberries are potent antioxidants. In Europe, where bilberry cultivation originated, bilberry extracts are a normal part of nutritional health care for the eyes. Highbush blueberry and lowbush blueberry are the primary species of blueberries the U.S. food industry uses. Blueberries are one of the richest sources of antioxidant phytonutrients among fresh fruits and vegetables, according to the U.S. Highbush Blueberry Council. 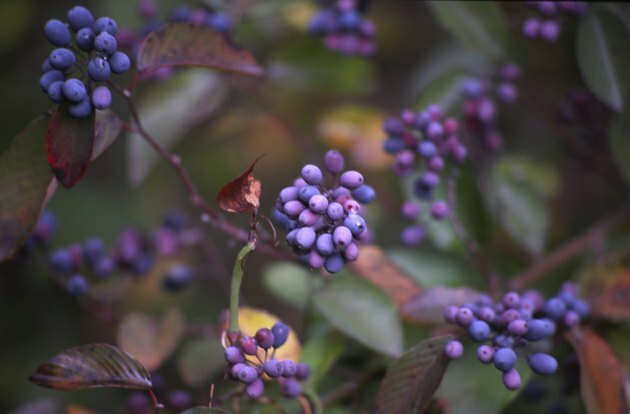 Blueberries and bilberries can vary widely in anthocyanin concentrations between different samples. Anthocyanins and anthocyanidins both relate to visual purple. The fact that berries' impact on visual purple impacted night vision acuity in pilots led to interest in more common vision problems such as macular degeneration and the impact of anythocyanins on eye conditions. Bilberries have four times the anthocyanidin content of blueberries. Bilberries provide support for night vision by nourishing the visual purple component of the retina. Bilberries and blueberries may also enhance capillary strength and help to normalize capillary permeability. The antioxidant capacity of bilberries and blueberries is another area of potential of these fruits. Antioxidants scavenge various free radicals that damage cell health. "On a fresh weight basis, blueberries have the highest antioxidant capacity of all the fresh fruits and vegetables tested to date," the Blueberry Council notes. Analysis of the antioxidant capacity of anthocyanins and other flavonoids found them to have two to six times the amount of antioxidants of citrus fruits. Dr. Steven Bolling, a University of Michigan heart surgeon and head of the Cardiovascular Center study, says: "The benefits of eating fruits and vegetables has been well-researched, but our findings in regard to blueberries show the naturally occurring chemicals they contain, such as anthocyanins, show promise in mitigating health conditions."